The OpenAddresses project recently crossed 250 million worldwide address points with the addition of countrywide data for Australia. Data from OA is used by Mapbox, Consumer Finance Protection Bureau, and my company, Mapzen. Now, you can use OpenAddresses in a high-quality geocoder yourself. “Geocoding” is the process of transforming input text, such as an address, or a name of a place to a geographic location on the earth's surface. Every time you search for a destination on your phone, you’re geocoding. 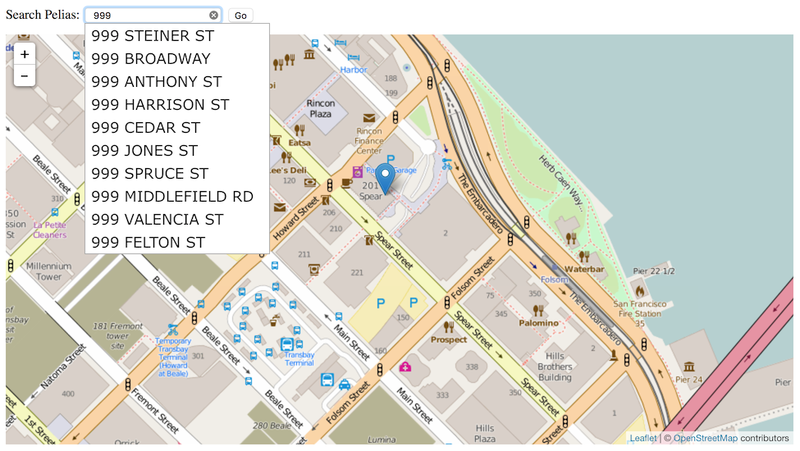 Mapzen’s Search service uses an open source server we call Pelias, and if you’re using the popular Ubuntu Linux operating system, you can get it set up and serving addresses in just a few minutes. Start with a clean server running a current version of Ubuntu LTS (long-term support); either 14.04 or 16.04 will work. Amazon has readymade Ubuntu images available on EC2, or a local copy running under Virtualbox will do for testing. Both the address import process and the Elasticsearch index are hungry for lots of memory, so pick a server with 4-8GB of memory to prevent failures. This installs the Pelias geocoder, the OpenAddresses importer, a simple web-based map search interface, and the underlying Elasticsearch index. After installation, you will need to import data. Visit results.openaddresses.io and pick a processed zip file to download. Start small with a city like Berkeley, CA to test the process. Download and unzip it in the directory `/var/tmp/openaddresses` where Pelias expects to find CSV files, then run `pelias-openaddresses-import` to index the data. Pelias includes many neat features out of the box, such as reverse geocoding and autocomplete. Read the docs on Github. The Mapzen Search service includes some additional features that aren’t yet covered here. For example, to include administrative areas like cities or states in searches, it’s necessary to do an admin lookup while importing, and to include data from Who’s On First. I’m also interested to learn more about tuning Elasticsearch for smaller-sized servers with less system RAM. It should be possible to run a geocoder with 1-2GB of memory, and Elasticsearch may require adjustments to make this possible. Waldo Jaquith’s discussion with technical decisions for this effort. Detailed OpenAddresses source license data in JSON.